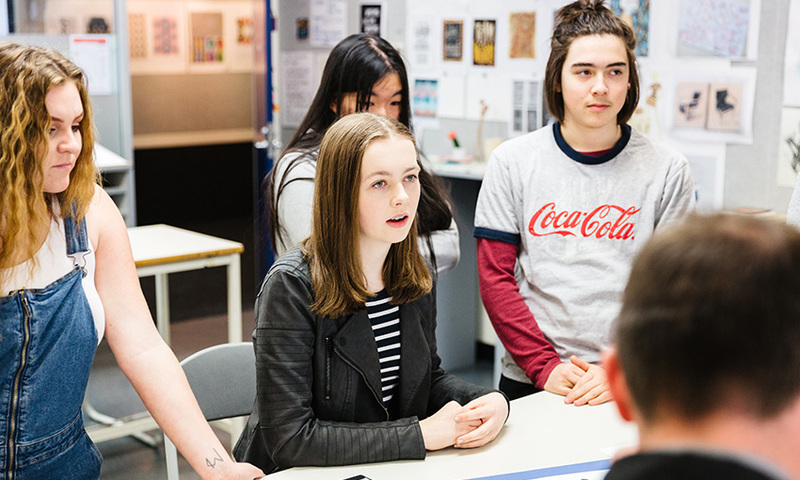 Eight kids from Eynesbury Senior College in the city – quite frankly – blow us away with what they say, how they think and what they're doing in art class this year. ‘Bright kids.’ That’s something you might say out loud one day and accidentally claim your adulthood and effectively end your youth. It’s what we said – out loud – after meeting eight kids from Eynesbury Senior College on Franklin Street on the north west corner of Tarntanyangga Victoria Square. Cameron has a fashion label. Cayleigh speaks without commas or full stops. Tania is tall and doesn’t shrink away from questions and Thomas is probably happiest to let others speak but also commands attention when he pipes up and takes his turn. 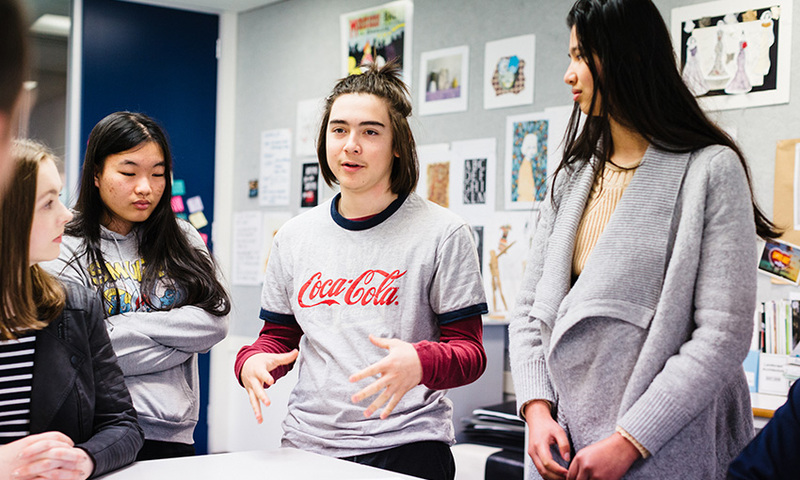 Georgia, Ron, Memphis, Lara – all – speak when spoken to, articulate deep thoughts about inclusion and respect and have an obvious ambition to contribute to the city that engulfs their classroom. 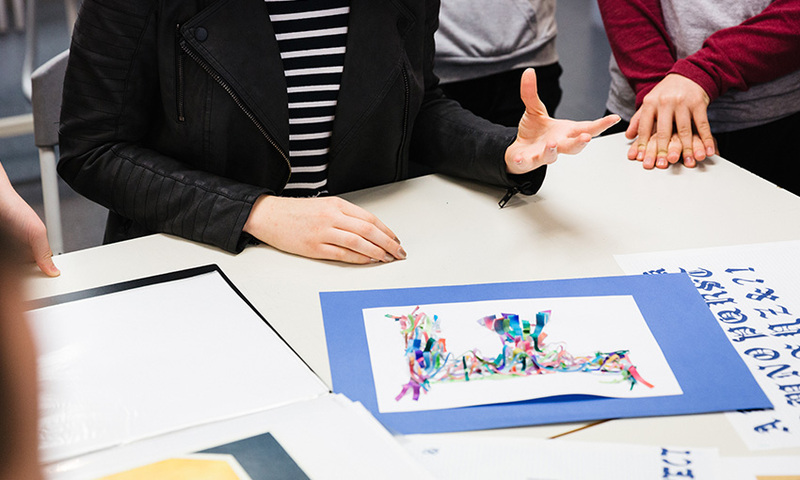 It’s 10:30 in the morning and we’re in the Year 11 students of Eynesbury College’s art class. 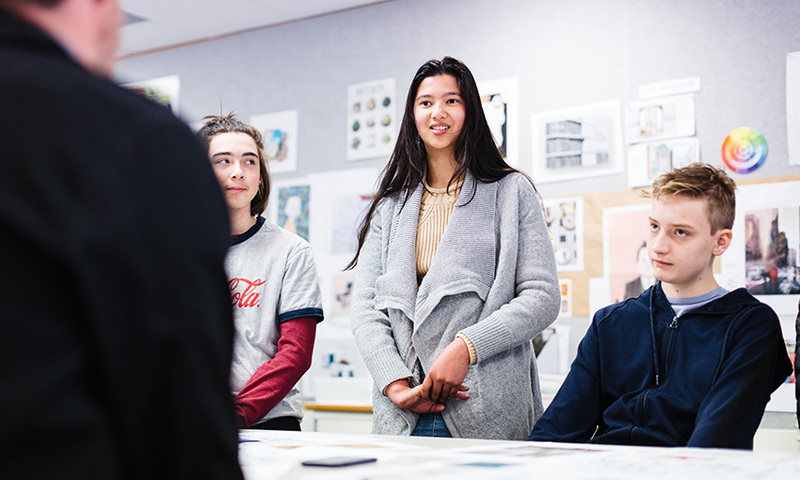 The Year 11s are preparing to paint a giant mural on the side of their school, on Trades Hall Lane that connects Franklin to Wakefield Street and the Adelaide Central Markets across the road. 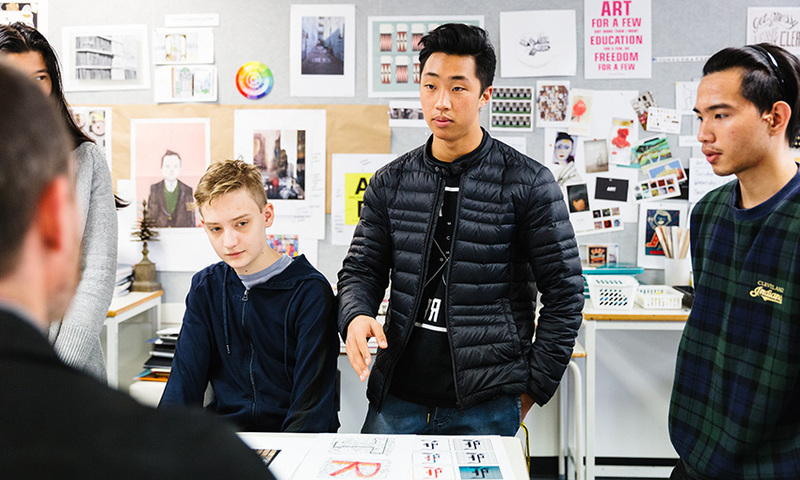 “Lindy,” the students at Eynesbury apparently use first names for their teachers, “Lindy is really good at teaching art,” says Cameron. 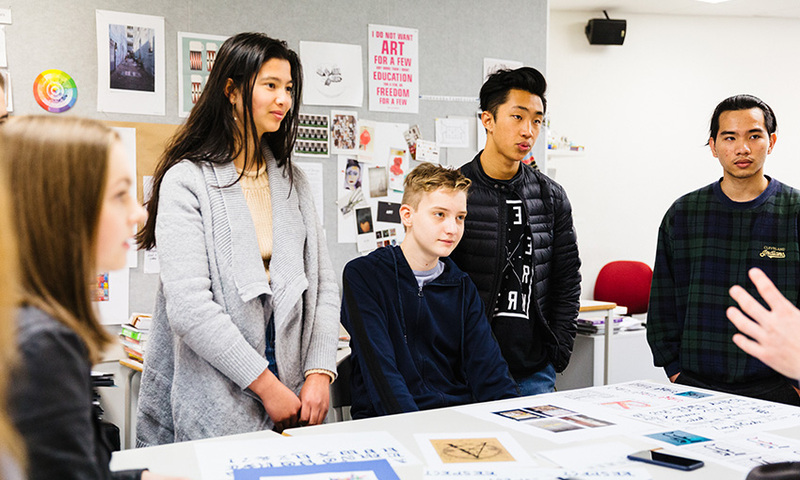 Cameron took art in year 10 and he’s taking it again this year and the fact that he’s running his own fashion label makes us think he’ll be studying it again in Year 12. The paper in front of him has various words drawn on it, some in English and others in Korean. It looks awesome. 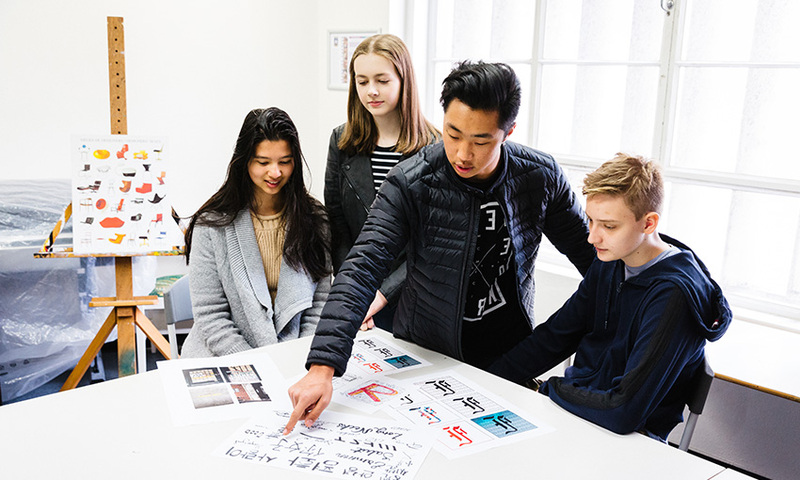 For this special project Eynesbury College is bringing in professional designer, sign writer and artist Tristan Kerr to work with the Year 11s to develop a bold but meaningful typographic piece for the western wall of the school’s exterior. The students will paint it with Tristan but – more than that – they will create the letterforms that are ultimately rendered on the public-facing wall. Who sees schoolwork as an “opportunity”? Who talks about being “professional” when you’re 15-16-years-old? Eynesbury College kids do, that’s who. The students assure us the motivation behind the artwork is to emblazon their exterior wall with a core belief of the school. It’s about “respectful relationships” and “inclusiveness” as a tactic to achieve such relationships. 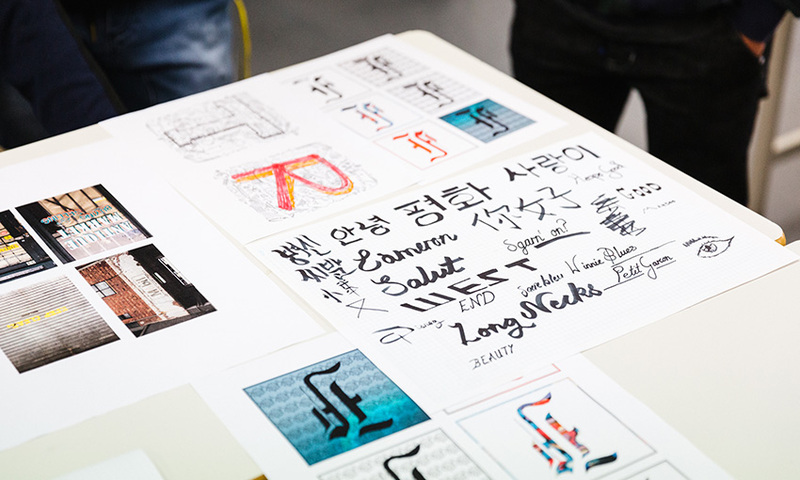 Lindy has been working with her students to help them discover the hidden rhetoric behind typefaces or ‘fonts’. 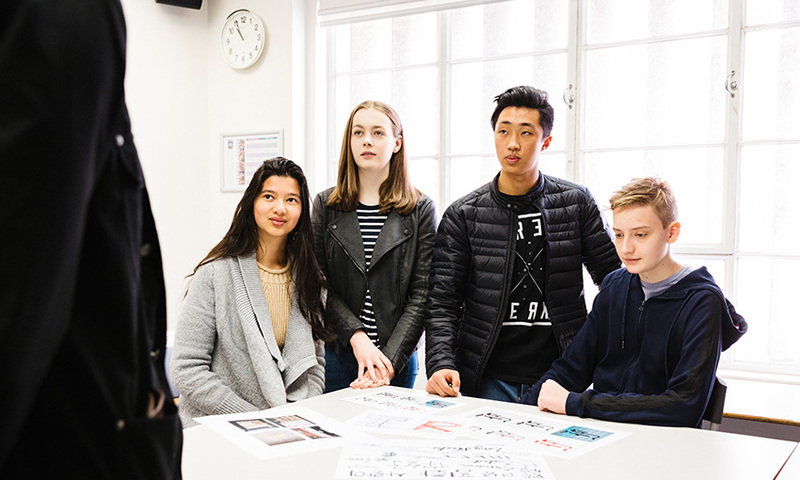 Between her and Tristan, the students have started to look at the city beyond their school boundary in a new light and see how words and letterforms can create feelings and reactions in people who read them. Cayleigh is excited about the whole project. She’s recently been to the Constitutional Convention she tells us and speaks effortlessly across high-minded ethical ideas. But Cayleigh can also see this mural is also going to make her school look cool. “The fact that we’re able to do a mural with such a fantastic artist gives our school a real sense of individuality. When we ask Ron what he feels about the mural project, he sets the record straight about why kids thrive here. “I’m from Vietnam. It’s really hard and difficult to prove your ideas there. We have to do the same thing every year, every day and it’s really boring,” Ron tells us. “Coming here I wanted to improve my creativity so that people know I can think differently and I’m unique. We’re proud of the mural,” he says. As an adult it’s easy to take Adelaide and, specifically, the city for-granted. Head down, we power along the footpath from car or (better yet) train or bike to our job every day. Routines smooth over the beguiling texture of everyday opportunities as we focus on what we have to do rather than what we could do here. It’s so nice to meet and speak with a different generation, less encumbered by the pressure to perform and more enlightened by the idea of change and agency. 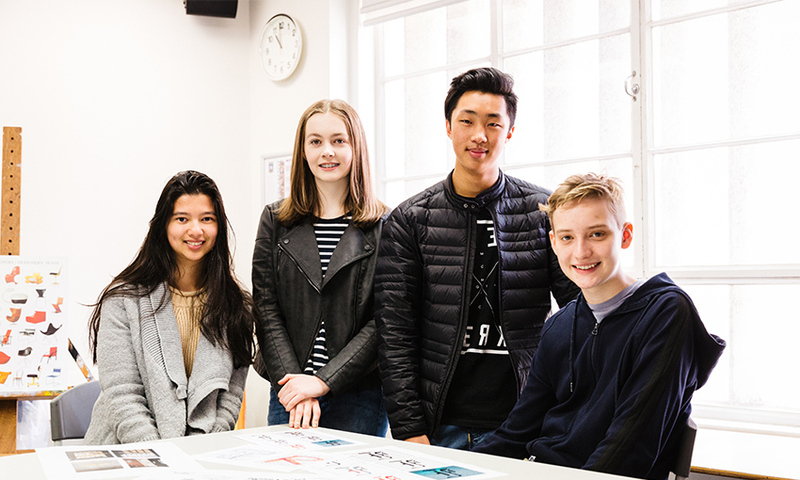 These Eynesbury College kids are more than bright. These kids have optimism and that makes us optimistic about the future and about using a phrase that means we’ve given up on our youth. Generation Z is going to take over the world one day and if these kids are anything to go by, that’s a very good thing.